An opaque fan blade diffuses lighting to ensure stunning LED illumination. Up to 52 CFM of airflow at peak 1,400 RPM. A custom fan blade and hydraulic bearing allow for low-noise operation. 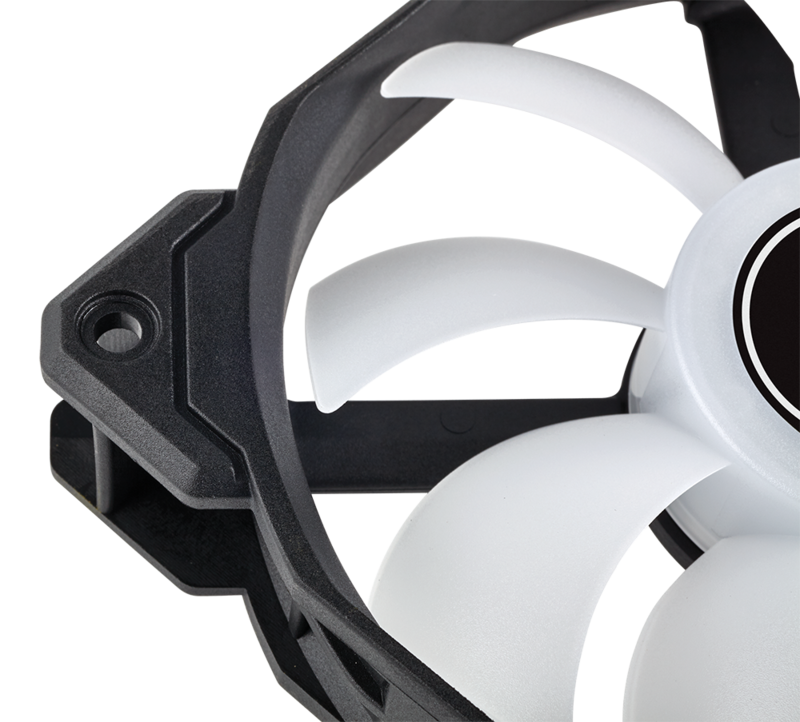 AF 120 offers the ideal combination of high airflow and strong static pressure, allowing for use as a case fan, or with CORSAIR Hydro Series Liquid CPU coolers.